It’s big. It’s bad. It’s bold. And even if you THINK you’re not scared of heights, the JLG 1350SJP aerial lift might make you reconsider. It certainly made a lasting impression on one journalist. Brett Solomon, a car electronics writer, recently took a ride in the impressive JLG 1350SJP. This lift is known for its towering height capability, as the lift can reach 13 stories high – 135 feet! 135 feet. In just about 90 seconds (a minute and a half), it takes a worker from ground level to halfway up a 26-story building. That’s about as quickly as you can go at a safe speed. Solomon noted the lift’s speed and controls, which quickly hoist both personnel and cargo to soaring heights. And what he really remembered was the wind force up around 100 feet. The lift is designed to hold 500 pounds with full mobility and 1,000 pounds with limited movement. The JLG lift is used by construction crews, painters, maintenance workers and other brave men. CMO can assist you in getting aerial lift & boom training. Our courses are not only affordable, but they can also be taken any time – on your schedule. 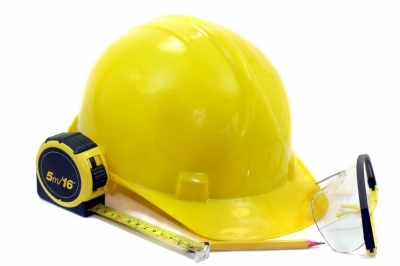 OSHA guidelines are very important, and staying current can be a real hassle. CertifyMeOnline.net can make sure your aerial lift safety program is compliant. Plus, we offer safety instruction and programs for scissor lifts, fall protection training and much more. Get in touch today! We can be reached at (602) 277-0615, or visit our contact page for more information. Check back with the CMO blog for aerial lift news, safety updates and more. Thanks again for visiting our site! This entry was posted in Aerial Lift Training on June 17, 2014 by admin. Lamborghini. Ferrari. And Almac Italia. The first two names grabbed your attention. And if you’re a scissor lift operator, the third will soon be a household name. 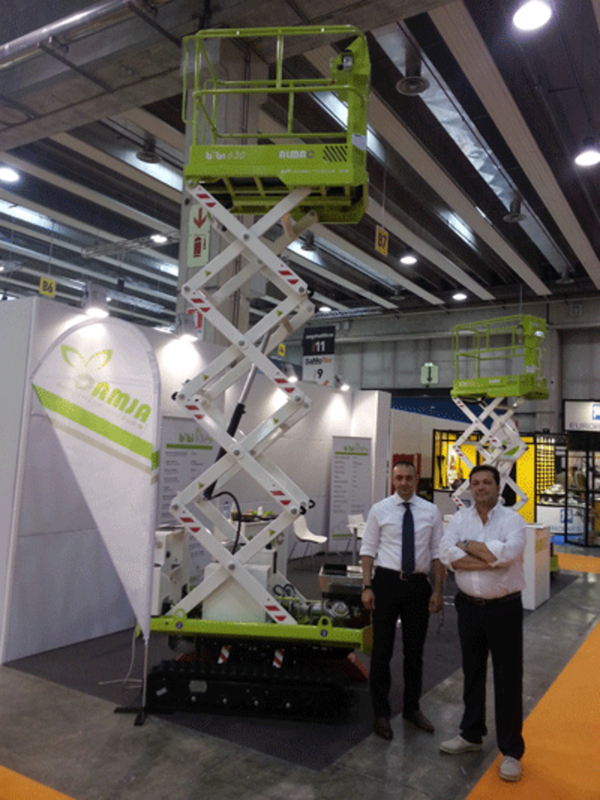 Almac Italia (company HQ in Gualtieri, Reggio Emilia, Italy) has introduced a range of compact crawler-mounted scissor lifts. Italy isn’t known for producing scissor lifts (Germany and the UK have a more established industrial equipment manufacturing base), but the Almac Italia fleet should turn (and raise) a few heads. Their recent announcement includes 3 different products. The Bibi630-L is the largest scissor lift, with a working height of 6.3 meters (over 20 and a half feet) and a basket capacity of 200 kilograms (almost 441 pounds). The Bibi630-L is complemented by the Bibi410 with a 3.98 meter (13.5 feet) working height and the 4.98 meter (16.33 feet) working height Bibi510. The Bibi630-L also offers an extendable undercarriage from 85 to 115 centimeters, with a leveling function up to 25 cm. Other features include the high-performance Almac Italia Easy-Drive System (ED-S) and the Direction-Control System (DC-S). Plus, all 3 models are diesel driven and also offer an optional 220 V auxiliary electric motor for indoor use. The company said it plans to extend its product range in the near future. “The goal of Almac’s team is to widen our products range with innovative units, constantly increasing customer satisfaction,” said a company spokesman. From foreign lift to those made right here in the states, CMO is the only training source you need. With OSHA guidelines always changing (yes, even for new Italian scissor lifts), you need to stay up to date on safety guidelines. Or do you? Why not let CertifyMeOnline.net do all the work for you? Sign up for courses with CertifyMeOnline.net. 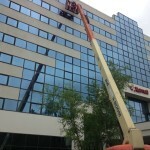 We’re the experts for scissor lifts, aerial booms, fall protection training & more. Just give us a ring at (602) 277-0615 to speak with our staff, or check out our contact page for more on CMO. Keep reading our blog for more news on upcoming equipment releases, OSHA safety guidelines and much more. Thanks for visiting CMO! This entry was posted in Scissor Lift Training on June 9, 2014 by admin. Fairview Contractors (based in Lee, Massachusetts) were cited by OSHA for safety violations that resulted in the death of roofer Francis Bona, 51. Fairview failed to provide proper safety measures during the November incident. Bona died at a condominium job site. If his employer had provided guardrails and other fall protection measures, it’s probable that Bona would still be alive. “This was a needless and avoidable loss of a workers life,” said Mary Hoye, OSHA area director for Central and Western Massachusetts. “While guardrails and fall-arrest systems were present at this work site, they were not used and were thus useless,” she said. Along with the loss of life and severe damage to the company’s prestige, the total fines could end up costing Fairview Contactors $119,350. This blog shows almost 120,000 reasons why your company simply cannot afford serious OSHA violations. It’s best to become compliant – and remain compliant. And the best way to ensure you’ll pass OSHA requirements is to sign up for courses with CertifyMeOnline.net. We offer excellent training for boom lifts, scissor lifts and other industrial equipment. Our affordable, flexible classes are only a phone call away. Please call (602) 277-0615 to speak with our customer service team, or visit our contact page for more on CMO. Thanks again for reading our blog. And for more updates on OSHA and other safety violations in the future, stay tuned for more articles. This entry was posted in Aerial Lift Training on June 2, 2014 by admin.